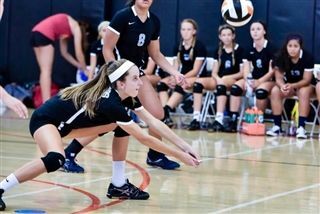 Firebird Girls Varsity Volleyball secured several key wins at last weekend's 2015 San Diego Fall Classic Tournament. The Firebirds defeated O'Farrell Charter School, Murietta Mesa High School, and Rancho Bernardo High School handily, but fell to eventual tournament winner Cathedral Catholic and tournament runner-up Santa Fe Christian. Head Coach Aly Dahl is pleased with how the team performed throughout the tournament: "Our girls showed courage, discipline, skill and heart."